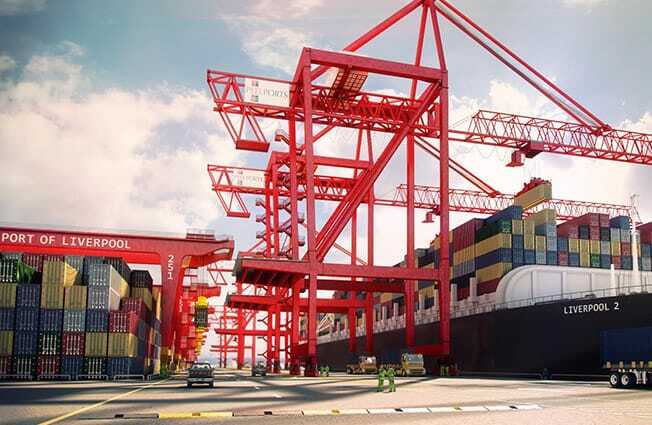 Merseyside’s new £300 million deep water container terminal, Liverpool2 will attract some of the world’s largest container vessels, add half a million containers capacity and create 5,000 new jobs. Being constructed on reclaimed land, it will use 1,000,000m3 of reclaimed materials, including those dredged from the river to create the 16.5 metre deep berths. The development of Peel Ports’ landmark 'Liverpool2' commenced 2013 and Quartzelec was awarded one of a number of contracts to assist in the first phase of the enabling works for the new port's infrastructure. The initial contract covers helping coordinate the supply and installation of all the necessary electrical and mechanical engineering infrastructure for the project. Quartzelec’s Wrexham business co-ordinated the necessary changes to the existing HV works to allow the main project to be delivered, establishing the most cost effective solutions to the electrical infrastructure modifications and re-positioning. Substation cable mapping and making changes to the wind turbine generator network for the removal of the number 1 wind turbine generator were initial challenges. The Animal Feed Store expansion project was later secured. Work was also carried out to reconfigure the CHP 28 panel switchboard to improve the integrity of the power supply to the port and its customers. The switchboard – which had 3 bus sections rated at 630A – is located within the 6kV substation which is the port’s main incoming supply from Scottish Power – incorporating three 33kV to 6kV transformers. The reconfiguration involved replacing two of the bus sections with new 1250A panels, bus section 1 with a feeder panel and replacing the busbars with new 1250A ones. The main challenge on the project was that electricity supply had to be maintained throughout to critical areas of the port during the partial shutdowns that were required to carry out the work. For example, ship movements in and out of the dock had to be maintained, the container terminal had to remain operational and the dock water level had to be maintained via seven 6kV pumps running three hours either side of high tide. Lighting and communications systems also needed to stay working. To help achieve this Quartzelec worked closely with the port and other contractors to provide backup power to these areas, with the load monitored at half-hour intervals.